If you already use a external system to order at webshops, it is possible to send the orders you made using the inONE system to your system. When you are interested in this functionality you need to contact inONE support. They will prepare the connection as soon as possible. 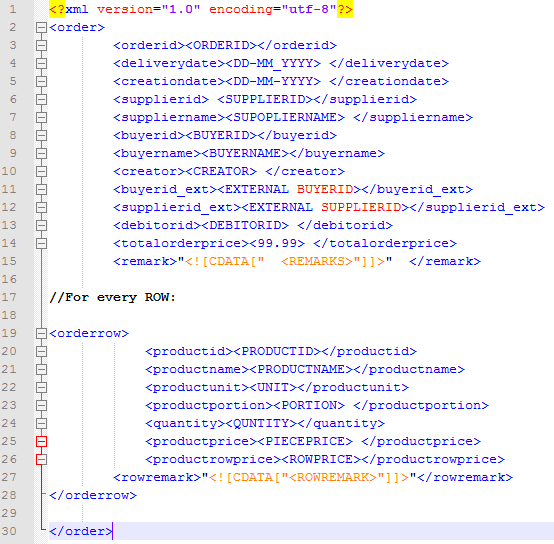 Below you can see a example of the standard .XML file we use to post to the supplied URL of your server.